We now live in a time when it’s not uncommon to feel stressed out, overwhelmed, exhausted, busy, and even flat out lonely. In fact, humans are more connected than they have ever been and yet are feeling more alone. Research is starting to indicate that loneliness may be the next big public health issue on par with obesity and substance abuse. One quick flick of Instagram, or any social media for that matter, doesn’t help. Perusing ‘picture perfect’ versions of other people’s lives can make anyone feel not good enough – which doesn’t help. We judge ourselves more critically, feeling like we don’t measure up and find our lives lacking in some way. Focusing on ourselves in this way, judging how we do what we do compared to others, can contribute to the feelings of loneliness. We retreat inward, judging ourselves more as we develop a monologue about our inadequacies. It is easy to become consumed with oneself. We lose interest in others, no longer able to neither empathize nor provide the connection needed. We stop listening to learn, and instead focus on listening to judge. But a happy, successful life requires strong relationships. In fact, almost every successful person credits their achievements to their ability to build strong, authentic relationships. Real, face-to-face relationships not only make you happier, they also help you to live longer. But no one teaches us how to build those strong, authentic relationships. We are just expected to figure it out. But there is a sweet spot to improving your life: and it begins by shifting the focus from yourself, to others. Ultimately, this is what we all want – to be seen, heard, and understood. Once this need has been fulfilled, we can remove ourselves from our one-person pity parties and get back into the world connecting with others. Here are five habits that can improve your life – like they profoundly changed the lives of our clients. As humans, it’s our fundamental desire to be seen, heard, and understood. It’s how we connect with others and feel happy. You can accomplish this by being curious in conversations. Be in conversations rather than do conversations. The first step is to be present. 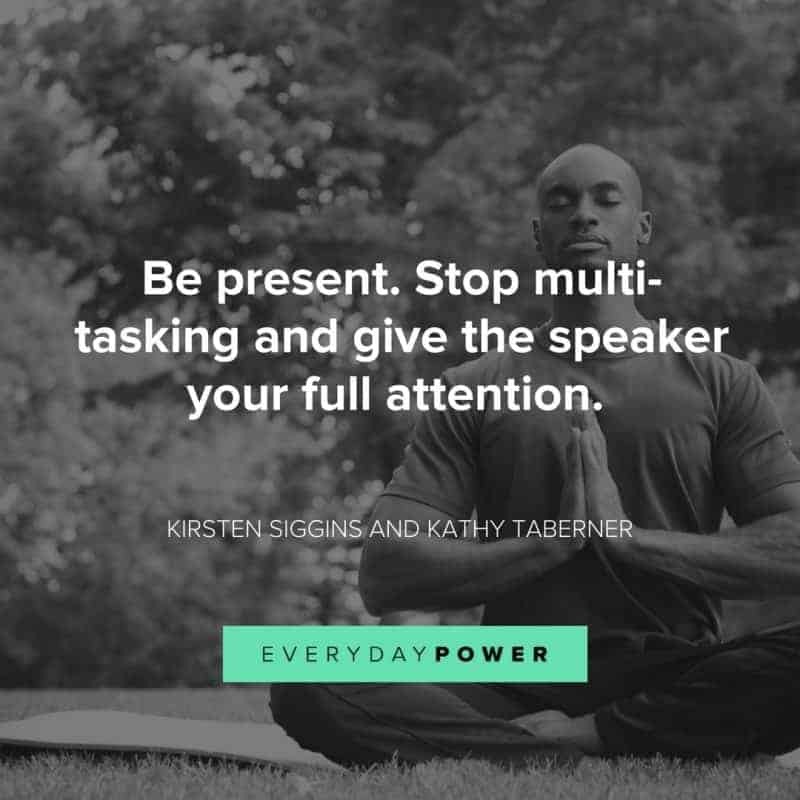 Stop multi-tasking and give the speaker your full attention. Next, suspend judgment so you can focus on the other person in a way that is open and non-judgemental. Actively listen to what is being said. Then ask open-ended questions to deepen your understanding of the speaker’s perspectives or experiences. No need to agree with, or like, what they have to say. But just try to know where they’re coming from. Understanding the viewpoint of others helps you understand them as people. This habit can minimize the opportunity for assumptions. Assumptions are blocks that inhibit our ability to comprehend what is truly going on. Such misunderstandings lead to confusion, mistakes, time wasted, and conflict. If you find yourself doing a conversation rather than being in a conversation, ask yourself: “What am I curious about?” Shift the focus from yourself to the other person. Self-reflection creates learning. It helps us to better understand who we are and learn from our behaviors, what we do and why we do it. A strong sense of self builds confidence. Self-reflection creates an awareness of our emotional triggers that sabotage our behavior. This is essential if you want to build strong relationships and improve your life. It’s impossible to have a good grasp of others without first understanding yourself. 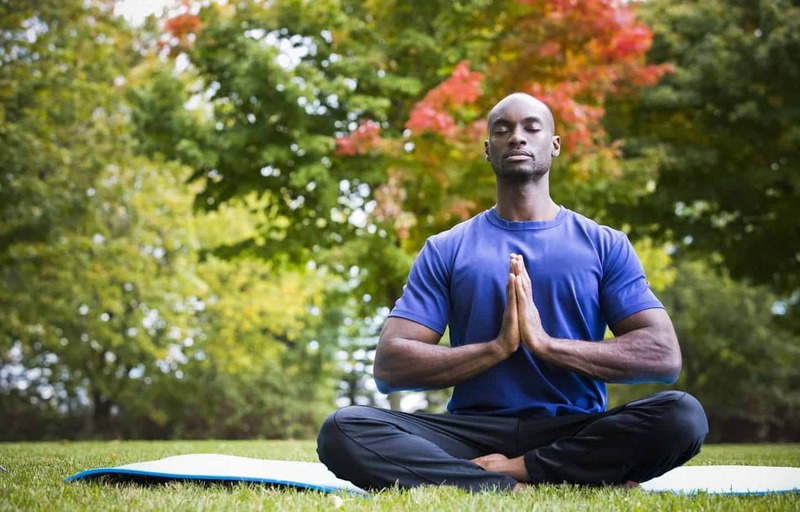 This practice helps us become more available to focus on others. At the end of each day, ask yourself: What worked, what didn’t, what role did you play, and what could you have done differently? We all play a part. 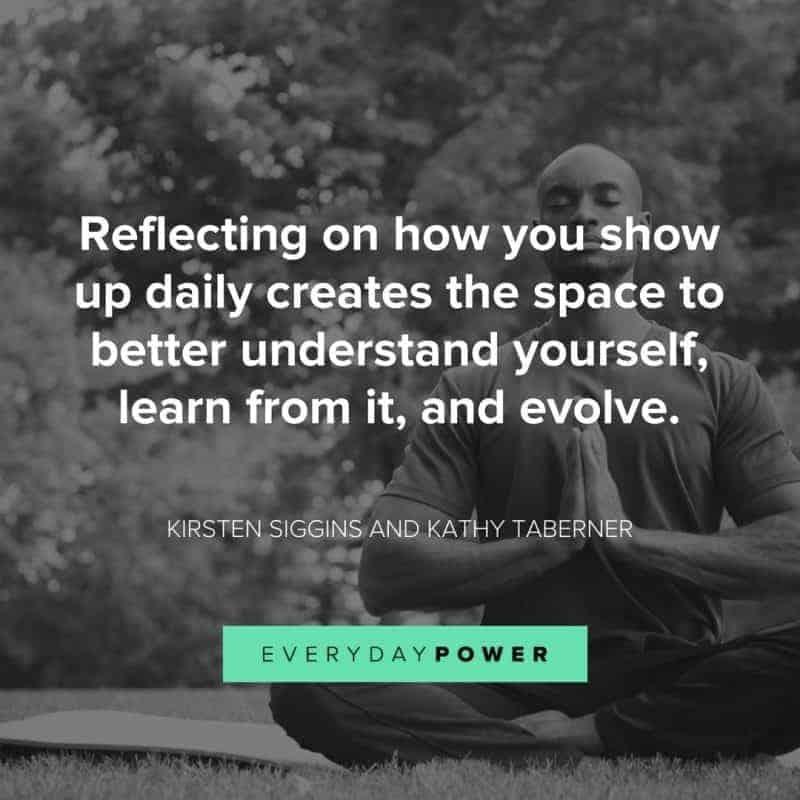 Reflecting on how you show up daily creates the space to better understand yourself, learn from it, and evolve. We could all benefit from talking less and listening more. Active listening is one of the most basic skills that can improve your life. 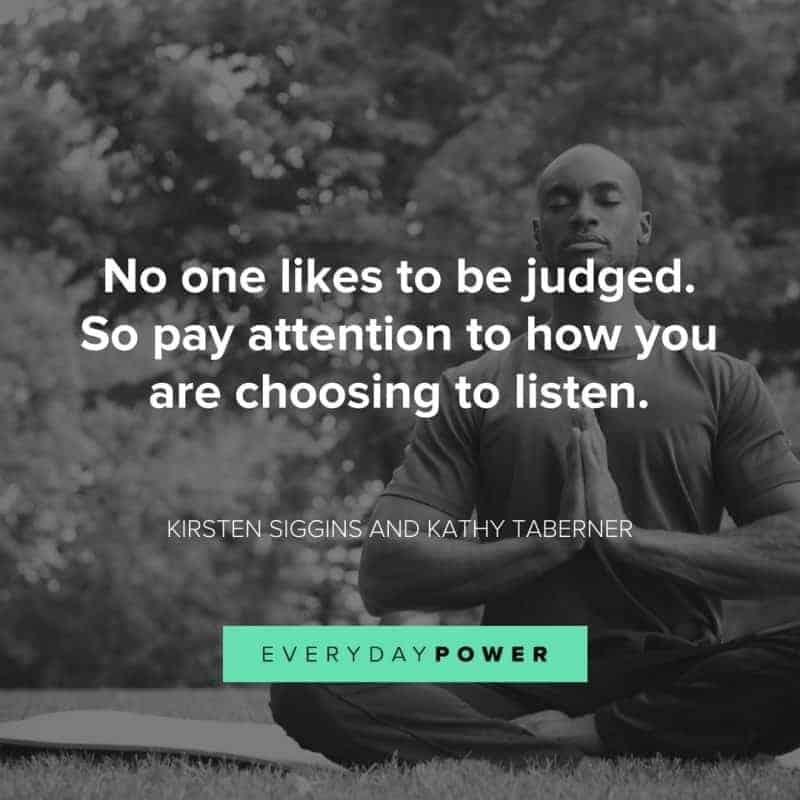 How we listen influences our conversations, choices, decisions, actions, mindset, and even relationships. A lot of people believe they are amazing listeners – but most aren’t. On average, people spend 60 percent of conversations talking about themselves rather than listening to others. When we keep the focus on ourselves, we listen with a focus on self. We tend to process the information we hear through our own thoughts, lens, and experiences; thereby judging others or and solving “problems” that may or may not exist. But when we listen with a focus on learning, it takes the spotlight off ourselves and onto someone else. This is how to build those relationships we want and crave. To do this, start by suspending your judgment. Stay open and curious to learn and understand the speaker and what they are saying. This doesn’t mean you have to like what you hear, or even agree with it. However, it will allow you to understand what is going on for them. This creates the space for true connection. No one likes to be judged, ourselves included. So pay attention to how you are choosing to listen. Empathy allows us to share the feelings of others, to understand and be focused on someone else’s needs, not our own. In our ‘me-centric’ world, we could all use and practice a little more empathy. But we can’t access that without curiosity. When we are genuinely interested with one another, we can feel empathy and better identify with what is going on. This is also important when building strong relationships. Empathy helps us treat the people we care about (or engage with) in the way they want to be treated. It also aids during emotional situations so you can see beyond your own thoughts and experiences. 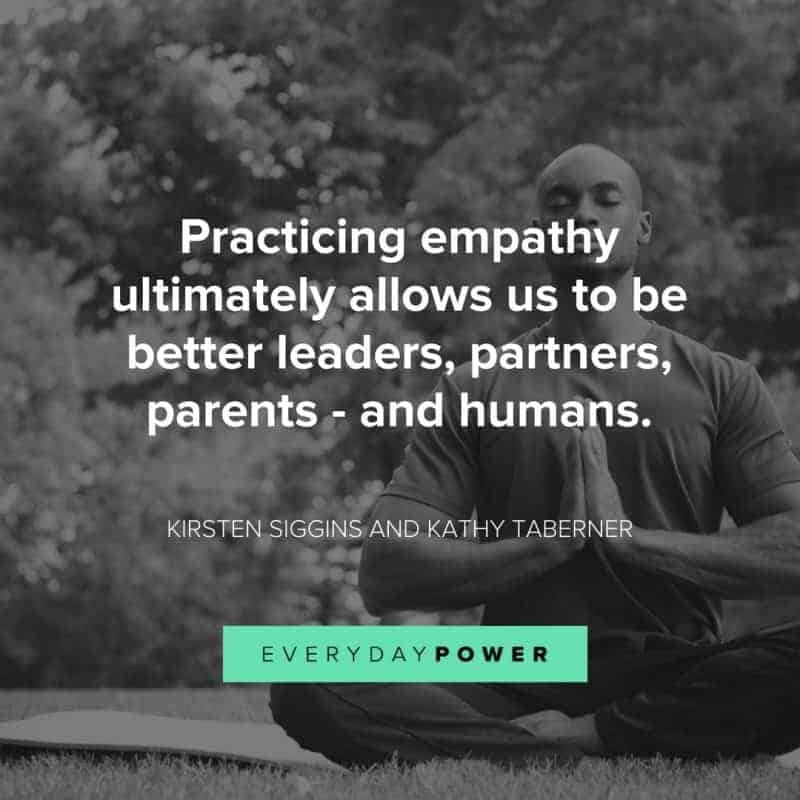 Practicing empathy ultimately allows us to be better leaders, partners, parents – and humans. This in turn, can improve your life in more ways than one. If you’re trying to do everything alone, then you know it’s hard. Isolation doesn’t always feel good. However, asking for help can be challenging, too. Collaborating can change that. Collaboration allows you to connect with others, learn from them, and leverage all perspectives presented. Even the smartest person in a room won’t solve a problem as effectively as with a team. Bringing different thoughts, experiences, and insights to the table is far richer than just one. Plus, it also makes us feel good. Collaboration creates connections – and in doing so, releases dopamine, the feel-good drug. Collaborating with others allows you to look at things differently. It helps take you out of your comfort zone in innovative ways you wouldn’t have thought of on your own. Putting themselves at the top of their to-do list can be difficult for many people. But here’s the thing: The most important relationship you will ever have in your life is with yourself. Stop piecemealing your happiness and give yourself permission to confidently invest in you. Learn new skills, live your values, take risks, connect with others, and play. Successful people are those who take care of themselves. That will look different for everyone. But take the time to understand what that means for you. You will thank yourself – and improve your life at the same time.